Queen-size Bed. Spalted Birch Headboard, Cherry frame. 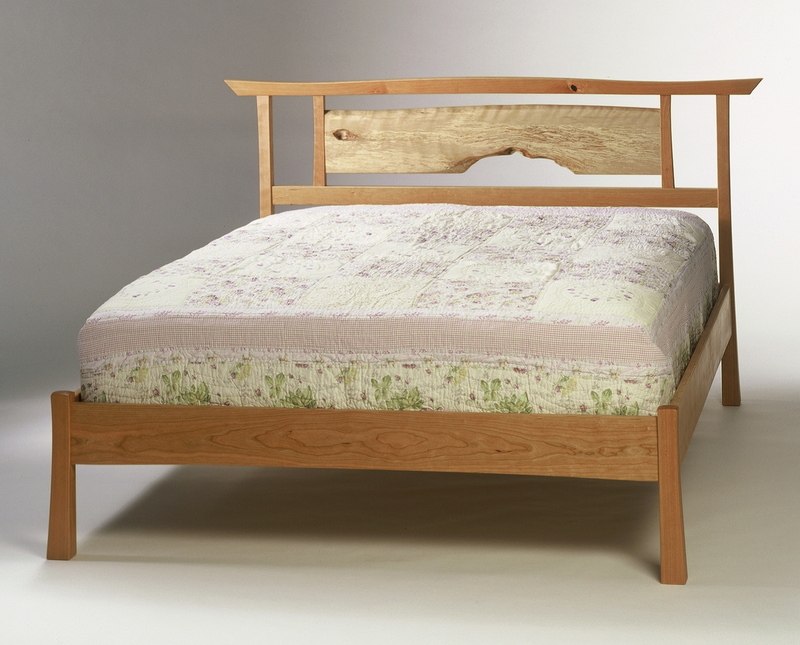 Maple slats support the mattress. The curving lines and over-sailing ends of the crest rail give this piece a Japanese feel . The headboard is designed to highlight an extraordinary piece of wood. I am constantly seeking interesting wood for my furniture.